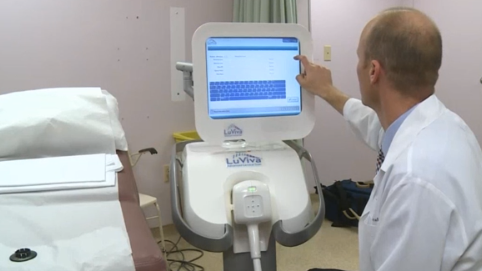 LuViva is a diagnostic device that scans the cervix with light and uses spectroscopy to measure how light interacts with the cervical tissue through a process called biophotonics. The device, produced by Guided Therapeutics, is not yet approved in the US with approval about 18 months away. It is distributed in the UK by Eurosurgical and is currently used as a follow-up to a positive Pap smear test result. Dr Gene Cartwright, CEO, Guided Therapeutics, said: “We’re targeting big accounts, government accounts like the Ministry of Health in Turkey and others like that. LuViva is already on the market in Indonesia, Turkey, Nigeria, Kenya, and Bulgaria, with plans in train to begin distribution in China, India, Russia, Poland, and Hungary.